Save on Arm & Hammer, Baker, Cool Whip, Cottonelle, Dial, Eggo, GUM, Heinz Baby Food, Jell-O, Pedigree, Selsun Blue and more. Coupons ONLY Valid in Canada. You must click on this offer to get the printed coupons. 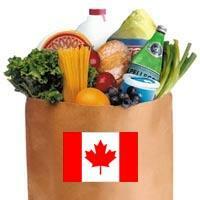 USA residents click here to print grocery coupons. Why can't I add to print list? This coupon has not yet met our standards of easily printing multiple coupons so it does not qualify for the print list. We are working with this brand towards meeting our standards.